Ten Speed Press, 9781607745624, 212pp. 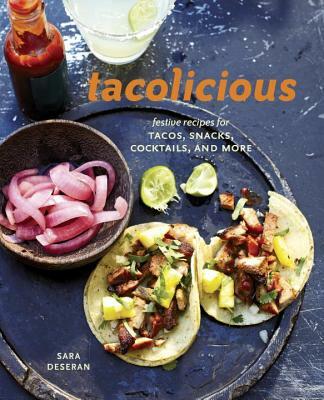 SARA DESERAN is the co-owner of Tacolicious with her husband, Joe Hargrave, and the editor-at-large at San Francisco magazine. A longtime food writer and author of three previous cookbooks, Deseran lives with Hargrave and their kids in San Francisco. JOE HARGRAVE has been working in Bay Area restaurants since the 1990s, first as the head of operations at Restaurant Lulu, Rose Pistola, Azie, and Frisson; then as the owner of Laïola, which he closed in 2009 to make way for Tacolicious. ANTELMO FARIA is the executive chef of Tacolicious, and MIKE BARROW is the restaurant’s COO and former beverage director. Tacolicious has five locations in the San Francisco Bay area. Visit www.tacolicious.com.